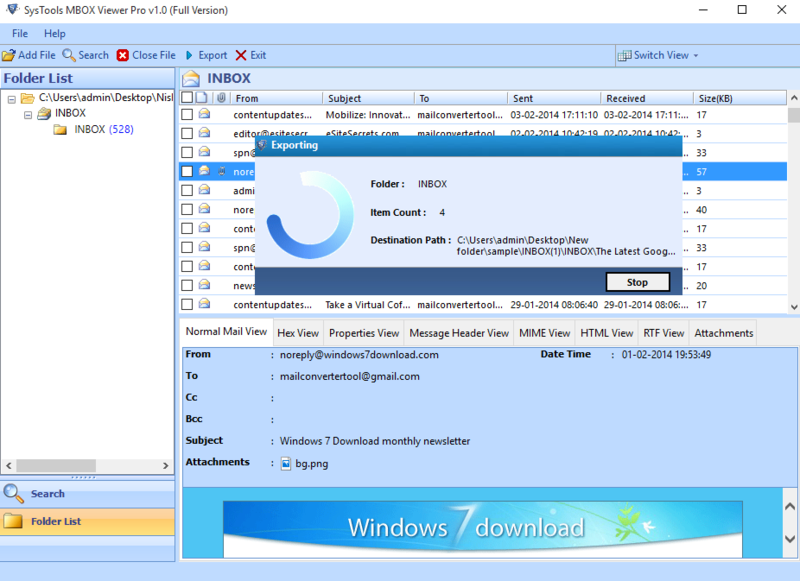 View and extract MBOX file in PDF file format. 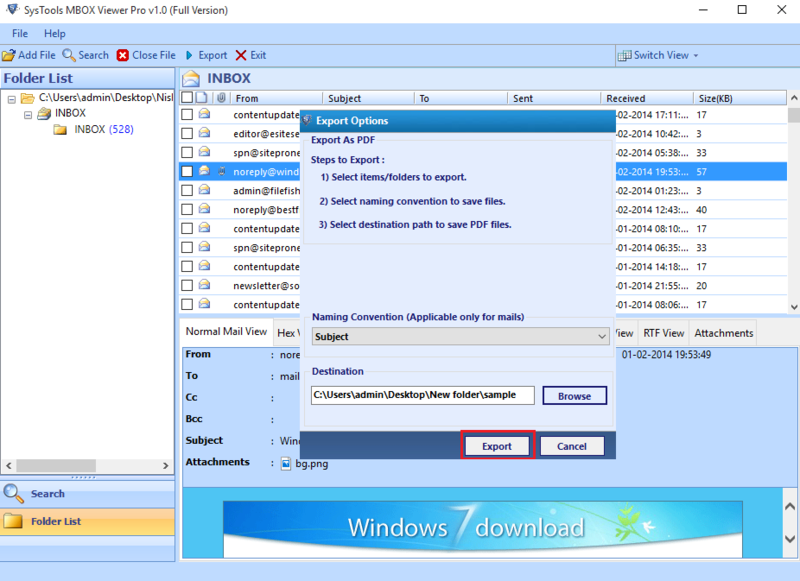 MBOX Extractor Pro is not dependent on any supportive application or email client to perform MBOX to PDF Extraction. Provide multiple screen views – Horizontal & Vertical. 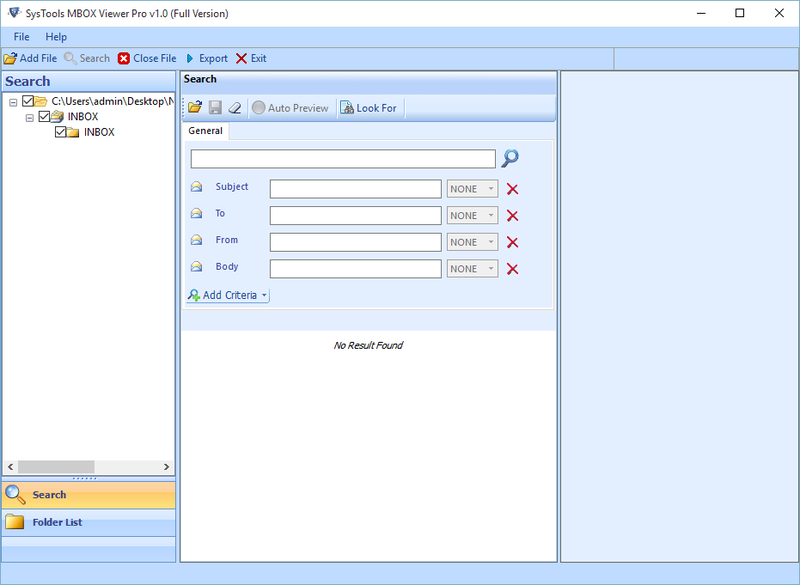 MBOX Extractor Pro is capable enough to extract multiple MBOX files in portable document format(PDF). However, You have to add the MBOX file one by one. You can view the MBOX file in multiple modes Hex view, Header View, properties view, normal view, message header view and many more. 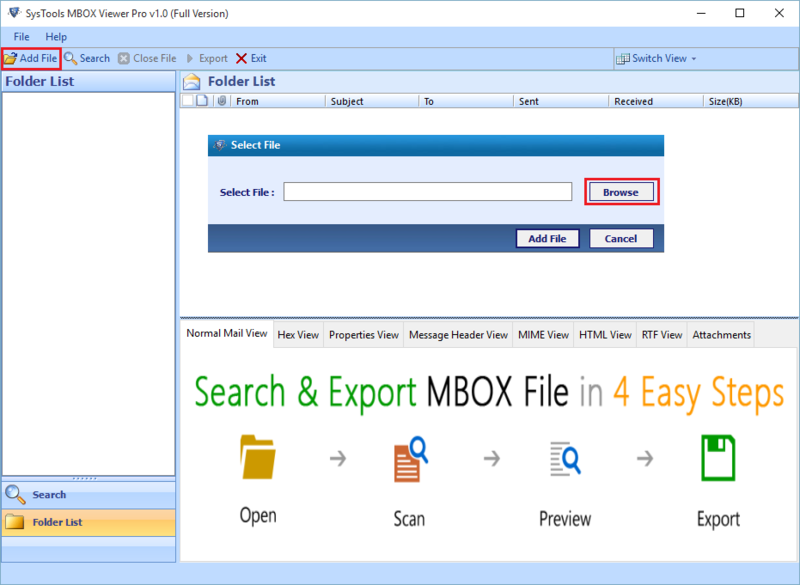 You can extract MBOX file in PDF format in selective manner either as MBOX files or as emails. 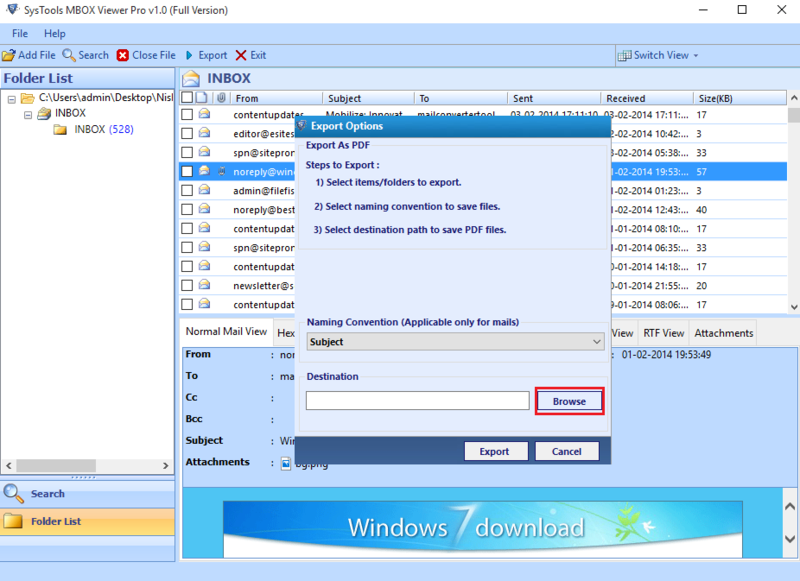 You can select the emails from a particular MBOX file by checking the boxes or directly from the folder tree. 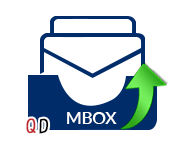 MBOX Extractor Pro is compatible with the MBOX file of all email clients like Mozilla Thunderbird, Entourage, Apple Mail, Eudora, Pocomail, Turnpike, Earth Link, MailCopa, Netscape Mail, Opera Email, Spicebird. During the extraction of MBOX file in PDF format, You can apply naming conventions. Mulitple patterns are available to apply the naming conventions like date, subject, autoincrement etc. Step 1: Start MBOX Extractor Pro. 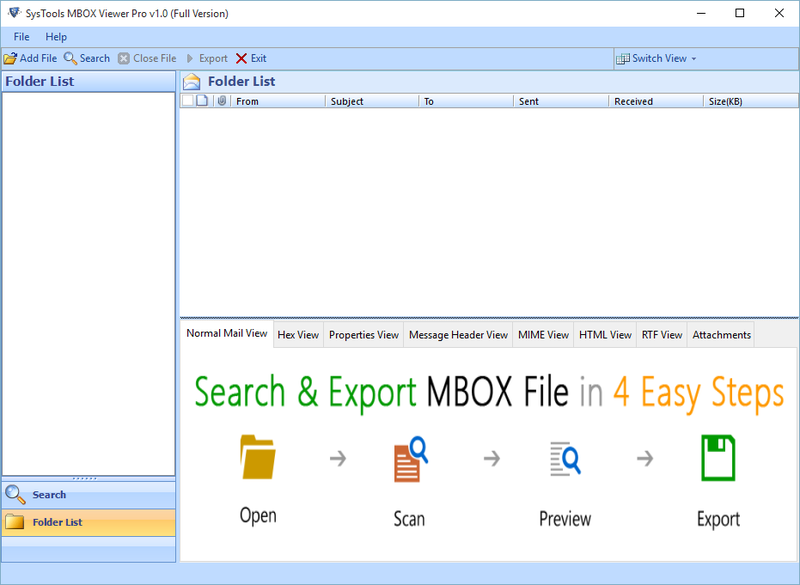 Step 2: Browse for the MBOX file you want to extract. Step 4: Then, Scanning process starts. 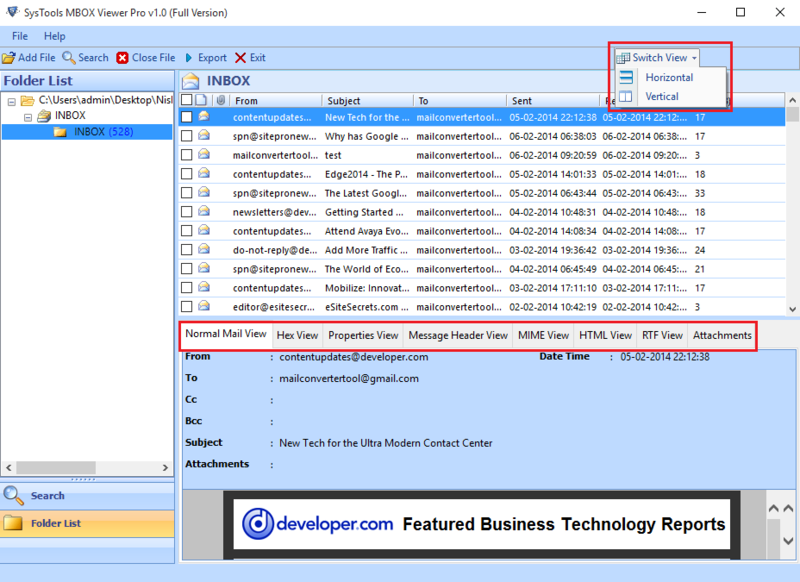 Step 5: Now, You can preview MBOX emails in different view modes. 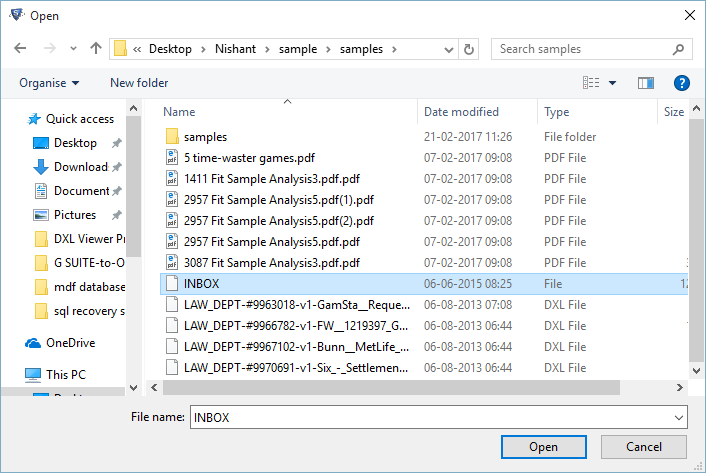 Step 6: Providing options to search within MBOX file. 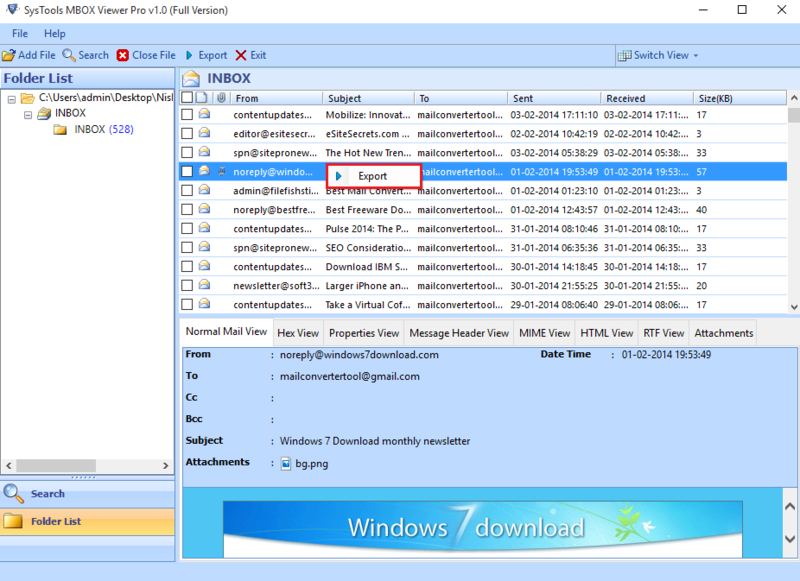 Step 7: You can extract selective MBOX emails in PDF format. Step 8: Provide naming convention to the resultant file. Click Browse. Step 9: Select the destination to save the output file. Step 10: Then, the process of extraction begins. Which email client I need to install to run the software? No, there is no such requirement with this tool. It is standalone runnable application. What should be the minimum size of MBOX file to process? There is not any restriction with the size of MBOX file. You can add MBOX file of any size. Can I run the tool on Windows 10? The tool is easily runnable on Windows 10 and below versions. I had an MBOX file containing sensitive data. So that wanted to keep that data in a secured and safe file format. MBOX Extractor Pro helped me in a right manner according to my requirement. Thanks a lot. 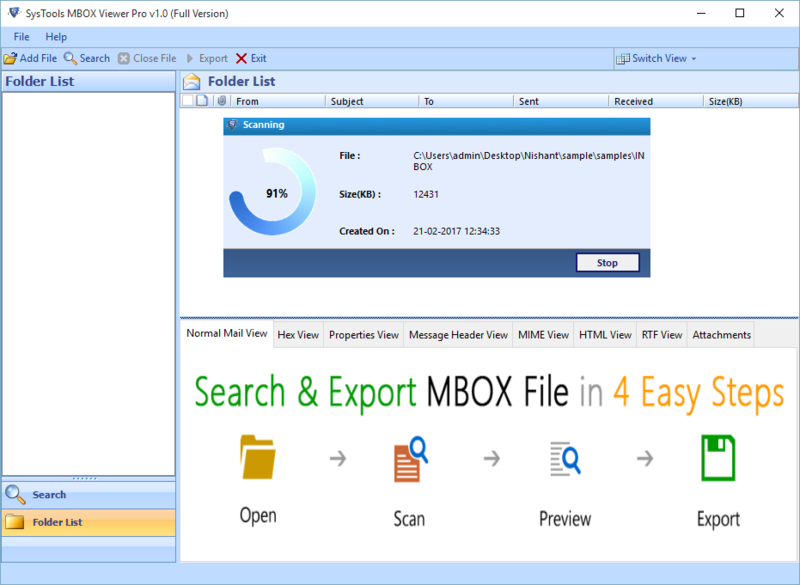 Quickdata MBOX Extractor Pro has been proved as a ultimate and worthwhile option to extract messages from multiple MBOX files into PDF file. Along with that, facilitating with active and supporting people. Amazing support team. Thank you so much.